A look back. 2010 has been a busy year. Here are a few posts I especially enjoyed writing, organized for easy reference. MBA Mondays is not my work, but a great summary of the basics of starting a business (newspace or terrestrial) broken into bight size pieces and provided by a venture capitalist in New York. I know anyone can google these topics, but to hear business essentials presented from a VC and to read the personal stories and input from those commenting - well worth your time if you are at all interested in starting your own company. Suborbital Cargo Agent: Integrator Service for Suborbital (and NanoSat) Launches. I believe Andrews Space's Spaceflight Services implemented this business case during 2010 incorporating Suborbital, orbital, GTO, and Lunar all into one services business. Space App Store: Apple’s App Store for Space Vehicles. While focusing primarily on their own components, Europe's Clyde Space is now implementing many of the online elements of the business case. Here's to a New Year filled with hardwork worth doing. And to the entrepreneurs who are living what I am only talking about. Cheers! In my FIRST post in this series, I discussed the benefits of a Falcon-tug architecture to transfer very large comsats from LEO to GEO (saving money over the Delta-IV Heavy price). In my SECOND post, I discussed the potential of a Falcon-tug architecture to carry a 10,000kg comsat to GEO (59% more payload than is currently possible on a Delta-IV Heavy). 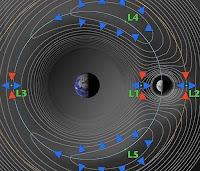 In this, my THIRD post, I will discuss lagrange points. I do not intend to describe why one would use EML1, Rand Simberg and many others have posts on this topic if you are unconvinced. Here is a Simberg lagrange post from 2006 in which he articulates several reasons to utilize EML1. Instead, I will focus on the financials of such a mission. Using a Falcon 9/Transfer Tug architecture, what interesting payloads could you transport from LEO to EML1 (instead of GEO)? And at what cost? The funny thing about orbital dynamics (which I am only a new student), if you can launch 10,000kg to GEO for the prices outlined in the previous posts, you can also launch 10,000kg to EML1 for even less. Below is a visual of the Earth-Moon transportation energies (at Delta-V Scale). It highlights how close GEO is to EML1 (and the moon for that matter) based on energy needed to get there. 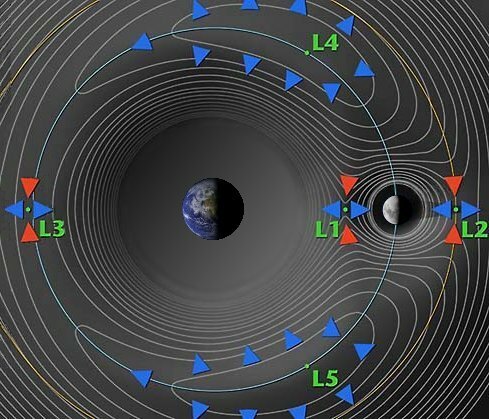 Earth-Moon Transportation Energies at Delta-V Scale. Used with permission from Brad Blair of the Colorado School of Mines. Since each station may consist of multiple Sundancer modules, some EML1 assembly may still be required. But multiple missions to EML1 amortizes the fixed costs over more missions and could lower the price further. Tug is launched on Falcon 9 with a dry mass of 3,000kg. Tug is co-manifested on a Falcon 9. Launch cost $20M. Tug Development paid for under contract and not a part of this analysis. Tug lasts five years with amortization factored into price. Tug breakeven price listed in this analysis. Two missions per year assumed (but could be a mix of L1 and GEO missions). Operating Cost per year: $10M. LEO to EML1: 3800 m/s of delta-v required. 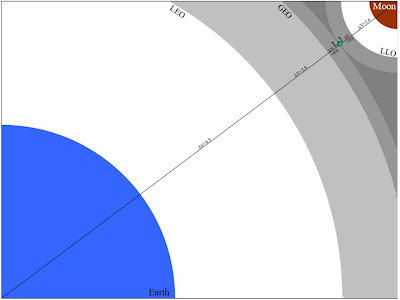 EML1 to LEO with aerobraking: 1000 m/s of delta-v required (Note: this link indicates the EML1 to LEO trip could be performed for as little 770m/s. 1000m/s has been used for conservatism). Bigelow Sundancer launched to LEO on a Falcon 9. Paying less than $5,000 per KG for propellant [could be solved through extraterrestrial sources of propellant? Or SpaceX lowering their Falcon 9 prices due to added reusability in their first stage]. 2. Once in EML1, could the tug make more money after dropping off its payload and prior to returning to LEO – what uses would you have for a tug in EML1? With L1's close proximity to the moon, what fun reasons could their be for diverting the tug occasionally (once in EML1) for lunar purposes. 3. Entrepreneurs reading this would want to calculate desired IRR to determine attractiveness of opportunity to investors. I have only considered a breakeven price. 4. Because SpaceX’s Falcon 9 becomes much more attractive for Comsat operators and for Bigelow when including a tug, SpaceX may be interested in being involved in a commercial tug venture. 5. There are going to be some elements of this analysis I get wrong. Assume I made mistakes. I welcome the corrections. Click here to play with the interactive spreadsheets for all three posts (in one file). 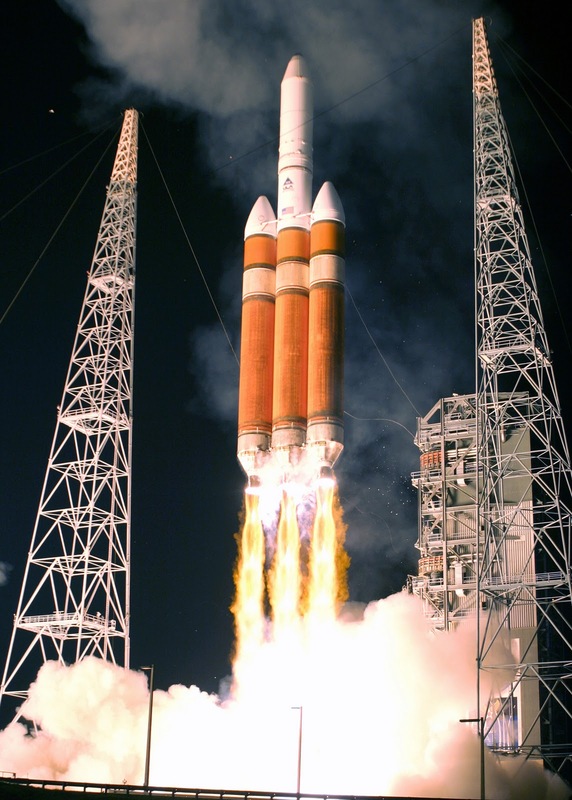 With these three posts I highlighted ways to launch comsats cheaper and larger than on a Delta IV-Heavy and to new and valuable destinations. But LEO-to-GEO transfer tugs aren't the only way. One friend reviewing this analysis prior to posting was quick to mention the value of simply refueling the upper stages in LEO and bypassing the need for a LEO-to-GEO tug all-together (but needs a propellant depot instead). Which idea will blossom first? The most profitable one (and the lucky one...but mostly profit). Good luck entrepreneurs. In my last post, I showed the potential of using SpaceX’s Falcon 9 to launch a comsat to LEO and use a reusable LEO-to-GEO transfer tug to move the satellite from low earth orbit to GEO. I also described the largest satellite we can currently put into GEO in a single launch would be a 6,276kg satellite launched on a Delta-IV Heavy for $200M. But how large of a GEO satellite would be possible using the Falcon 9/Transfer Tug architecture? And how expensive would that satellite be to launch? Such a Falcon/tug system could launch a 10,000 kg satellite (an increase of ~59% over the current maximum comsat size) into GEO for $171-235M. The price/KG savings is significant ranging from 26-46% over the Delta-IV Heavy. In addition to cost/KG savings, no other commercial launcher can lift 10,000kg to GEO. Tug refuels itself as needed in LEO from additional Falcon 9 launches (10,000 kg of prop for $50M: $5,000 per kg). Two missions per year assumed (8% Market Share). LEO to GEO: 4200 m/s of delta-v required. GEO to LEO (with aerobraking): 1500 m/s of delta-v required. Use aerobraking from GEO to LEO. Satellite launched to LEO on a Falcon 9. 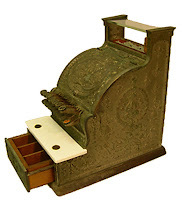 Click here to play with the interactive spreadsheets. 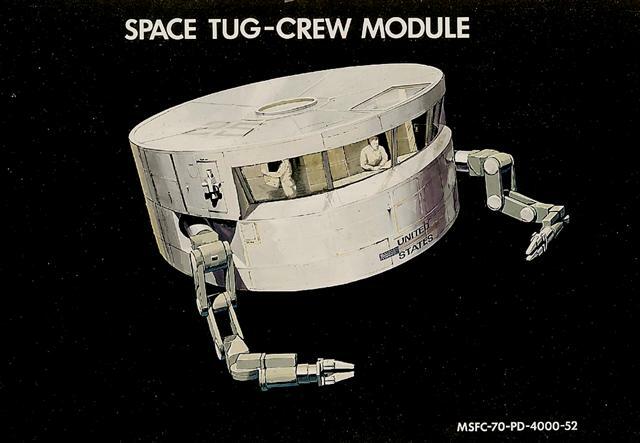 In Part 3 of this series, I will discuss if a Falcon/Tug system could be used to take a Bigelow Sundancer Module to EML1. In response to recent blog posts about LEO tugs servicing Iridium’s satellite constellation, readers have been asking me about other uses for orbital tugs. One tug use that keeps coming up in our discussions is a LEO to GEO transfer tug. 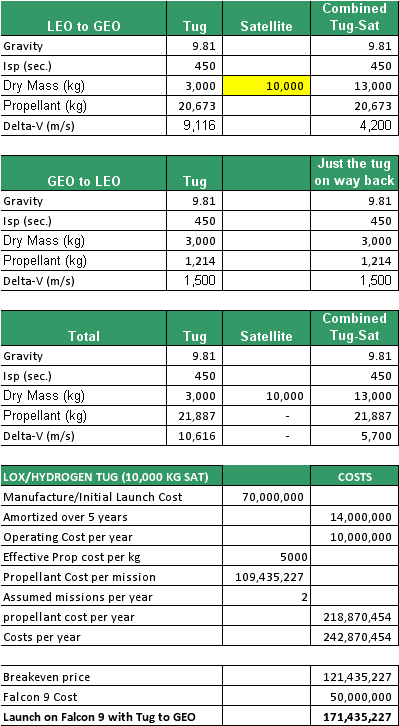 Such a tug would pick up a payload in LEO and transfer the payload to GEO, drop the payload off in the correct orbit, and return to LEO for its next payload. So I did some analysis (yay, spreadsheets!). Mega ComSats? MAYBE: and the rest of this post discusses my analysis as to why an entrepreneur may find a market here. Currently the largest GEO ComSat could theoretically have a mass of 6,276kg if launched on a Delta IV Heavy (correct me if I am missing a commercial rocket offering a larger BOL value for a GEO sat). I have heard of prices for this type of launcher ranging from $150-200M (maybe more). Since such a satellite in my example would push the boundaries of the capabilities of the Delta IV Heavy, I used the upper end price point of $200M to GEO. I am assuming a commercial customer with a 6,276kg satellite could purchase a GEO ride on a Delta-IV Heavy for $200M. My analysis considered how to transport a 6,276kg satellite from the earth’s surface to GEO for less than $200M. The table below shows the price comparison between the baselined Delta-IV and a Falcon 9/tug combo using both propellant options. 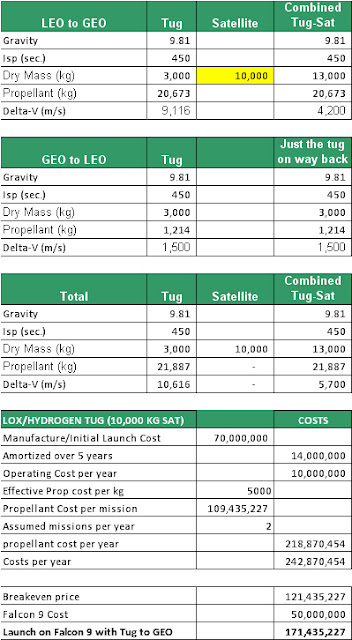 The Falcon 9 & LOX/Hydrogen tug combo could deliver the satellite to GEO for only $142M (a cost savings of ~30%). The LOX/Kero tug at a lower ISP shows a cost savings of 6% (more if the launch costs end up being more than $200M). I am not sure 6% cost savings would overcome the risk of introducing a tug into the satellite-to-GEO equation, but 30% savings for the LOX/Hydrogen tug ($60M!!) seems pretty tempting. Who would pay for prox-ops work in GEO? What could the tug bring back from GEO to LEO (the delta-v to return to LEO from GEO is very low with aerobraking making return payloads comparatively cheap)? Who would pay to have a payload brought back? 4. The Delta-IV Heavy does not fly very often. This Falcon 9/Tug solution offers increased flight opportunities in addition to the cost savings already mentioned – frequent launch opps alone may make this venture valuable to customers. 5. Because SpaceX’s Falcon 9 becomes much more attractive for Mega ComSat operators when including a tug, SpaceX may be interested in being involved in a commercial tug venture. 6. There are going to be some elements of this analysis I get wrong. Assume I made mistakes. I welcome the corrections. ﻿Click here to play with the interactive spreadsheets. In my last post, I described Part 1 of a business case for a tug service for LEO satellites. In my post I described how Jon Goff and I had come to the conclusion that Iridium may make a powerful first customer for such a tug service. Jon Goff now has Part 2 of this Iridium Tug business case posted on his blog, Selenian Boondocks. Jon not only provides additional arguments for the value of Iridium as a first customer, but delivers a compelling argument for why an entrepreneur may want to consider pursuing such a service, and why Iridium might want to listen if they do. Fleet deemed “viable” with only 36 satellites (but Iridium did not describe what viable means). Viable must mean less than optimal or they would have only launched 36 sats to begin with. If fleet is productive with only 36 satellites, there may be even more value in selling the current fleet upon successful transition to NEXT. This give Iridium a more "robust" constellation to offer to a buyer. Iridium says, "Now, once every couple of weeks we do a maneuver” to avoid orbital debris. How much debris mitigation maneuvers was factored when calculating the hydrazine needed to make it to 2017? How much is life shortened if maneuvers increase? Good luck Iridium. If you want a heck of a backup plan, read Jon's post on Part 2 of the Iridium Business Case. Thanks Jon for your work on this. I have been working with Jon Goff over at Selenian Boondocks on this analysis for about a year. A couple months ago he started getting real busy. I wanted to get our ideas posted while the effort was still fairly fresh in my head. Thanks Jon! Maybe when you are not so busy we could work on this some more. Would Iridium pay for an orbital tug to service its current LEO constellation? But why would Iridium even want servicing when they are launching a new constellation? Iridium provides satellite communication through a network of sixty-six active LEO satellites (with a few spares). 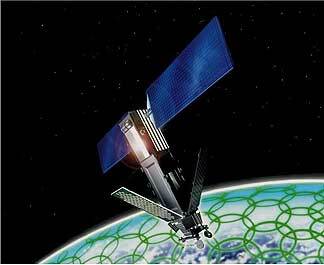 Iridium’s satellites are based on a common bus design, the LM-700. Their fleet is spread across six orbital planes. Iridium has secured funding to launch a new satellite constellation, Iridium NEXT. They intend to begin launching these satellites on SpaceX launch vehicles starting in 2015. Total cost: $2.9B. Iridium’s current fleet had a designed operating life of 5-8 years. I will use a seven-year design life for my calculations. 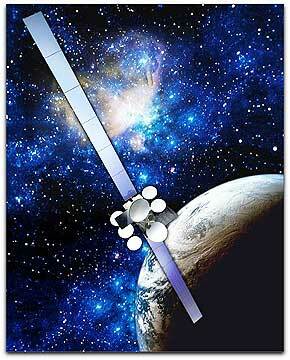 With initial launches in 1997, Iridium’s current fleet is aprox. 13 years old; by 2015 their fleet will be 18 years old, 2.5 times their designed life. Iridium’s replacement constellation, Iridium NEXT, is not scheduled to start launching until 2015, however choosing a contractor to build this constellation was delayed from Spring 2009 to Summer 2010. Although Iridium has not formally announced a launch date slip, I believe such a delay is likely. Such a delay would push the start of constellation replacement from 2015 to 2016 or perhaps even 2017/2018. If NEXT were delayed to 2018, Iridium’s current fleet would be 21 years old (3x design life) at the time of replacement. Iridium's current fleet is getting old! The two most likely systems to fail on the current constellation will probably be hydrazine for station keeping and/or batteries. Hydrazine is the fuel in many attitude control thrusters keeping the satellite pointed in the right direction and incidentally, this is also the fuel used to avoid space debris. Batteries supplement the solar panels. And what happens to Iridium’s service if satellites do fail? Since Iridium still has a few reserve satellites already in orbit, Iridium would move these reserve satellites to take the place of the failing ones. Users may experience temporary service disruption during the maneuvers. If more satellites fail than Iridium has in reserves, users would experience more spotty coverage, more dropped calls, etc. due to the more permanent gaps. At least half of Iridium’s revenue stream comes from commercial calling cards purchased and used by the minute. Unlike most terrestrial cellular phone providers, Iridium does not charge commercial customers a monthly rate for pre-defined number of minutes. This means if Iridium starts have satellites fail from lack of hydrazine, they will begin to have gaps in their coverage area. Such gaps will have an immediate impact on Iridium’s revenue. Without coverage, customers can’t use minutes on their calling cards. If they can’t use up current minutes, they don’t need purchase new calling cards. All this means lost revenue and reputation for Iridium. Jon and I disagree on whether battery life extension is possible for the LM-700. But could a tug service be offered to provide a few kilograms of additional hydrazine to each of Iridium’s current fleet? Could a tug service provide deorbiting services for malfunctioning satellites? Could a tug service provide prox-ops inspection services? For the rest of this post, I will refer to such offerings as “servicing”. Once NEXT is in orbit, actuaries within Iridium may advise the company to deorbit the current fleet (3x design life, remember) before they run out of hydrazine and make a mess of LEO, because servicing can deorbit a satellite for Iridium, servicing allows the current fleet to stay aloft longer – increasing revenue (and keeping actuaries happy)! Reputation damage from trying servicing and having it be ineffective in some way (even with no damage to current fleet) – space is so visible in the media. Any perceived "failure" by the media could play poorly on Wall Street. Iridium is publicly traded (IRDM). Small window of opportunity. If NEXT launches on time (beginning in 2015), servicing may need be performed prior to that (service window grows if NEXT is delayed to 2018). Risk of the unknown/unproven: Service would be new. It is hard being the commercial guinea pigs for something – just ask all of you who were forced to use Windows VISTA. Develop a method to deliver 5-20kg of hydrazine to each of sixty-six Iridium satellites. That is 330-1320kg of hydrazine! Why would Iridium be a great first customer? Iridium is desperate (or I forecast will become desperate very soon as satellites start breaking). Would they invest $100M to preserve a $2.9B investment in Iridium NEXT. Sounds fun! When do we get started? The Small Business Innovation Research (SBIR) Program was created by Congress in 1985 as a tool to promote small business, commercialization, innovation and US competitiveness. NASA’s version of an SBIR (similar to programs run by other agencies) awards a series of contract “Phases” to small business helping them demonstrate their technologies. Upon completion of these phases, small businesses would be empowered to independently pursue commercialization of their technologies. Good for the company: marketable product. Phase I contracts: $100K (or less) over 6mo. Phase II contracts: $600K over 24mo. NASA chooses SBIR technologies that they want commercialized , not necessarily ones that have been analyzed to thrive in the marketplace (SBIRs are more tech development than business development). Check out #24 on my list below for a firm attempting to change this for NASA's biomedical SBIRs. The SBIR program has some companies that win and execute an SBIR through all of its phases, but never commercialize anything preferring the low-risk approach of perpetually submitting new SBIRs without taking the high risk/high reward attempt at commercialization. Have you heard of the term, “SBIR Shop”? Aerospace components don't sell nearly as well as integrated products. Since SBIRs focus on components (usually), it may take the integration of several SBIR contracts to gain enough components to turn into an integrated product slowing the path to commercialization. Picometrix, LLC Miniaturized Non Destructive Evaluation for In-Orbit Inspection. Techshot, Inc. Life Science Research Sample Transfer Technology for On Orbit Analysis. Promising Innovations...yes. But it's long road to commercialization. Good luck to all of these companies in implementing both their technology and business solutions. I have been talking a lot about NanoSat Launch Vehicles lately. We spoke about the last mile problem: how to use an NLV to deliver “just in time” supplies to orbital stations. We spoke of a variable pricing model that would charge NLV customers commensurate to what they could pay (and increase launch demand in the process). SpaceX is vertically integrated and associates much their success to this approach – developing all aspects of their product in-house (or limiting external component suppliers). As NASA’s NLV Challenge heats up, NLV Challenge teams are going to be faced with the same decision: do they develop all components of their NanoSat Launch Vehicle in-house or utilize suppliers like Altius Space Machines, Team Phoenicia, and others to create a vehicle capable of winning the prize. Vertically Integrated Teams: Some will follow the SpaceX model – building every component internally, controlling the supply chain. Advantages of this approach are ease of integration and schedule control. Disadvantages of this approach: Cost growth with low production volumes (perhaps cost savings with high volumes, but this would case specific), and the opportunity cost of developing components that could be purchased by others. Opportunity Cost is what you could have done with your time or money if you weren’t vertically integrated (and in such a competition, “first to market” may win it all). Horizontally Integrated Teams: Others will see an advantage of utilizing hardware developed by others. Since I expect the NLV Challenge winner will utilize several vehicle stages (Paul Breed is considering a three stage nanosat launcher), this group of competitors will outsource some stages (or components of stages) and build other stages in-house. With Horizontal Integration, the Advantages and Disadvantages are reversed. Advantages: Using components built by suppliers may get you to market faster/cheaper, and may help you raise angel funding if you can leverage pre-existing supplier hardware when pitching to investors. Disadvantages: Integration and Schedule risk (which could be a HUGE risk for any NLV Challenge competitor)! Jon Goff, founder of Altius Space Machines, will be on the Space Show on Monday, Dec 13. I will be listening for hints of what lightweight systems Altius may be considering that could help those considering the horizontal integration approach. Disclaimer: I have become friends with Jon Goff from his blog, Selenian Boondocks. I have re-read this post and think the content is free of too much bias, but you be the judge. Regardless, it should be a good Space Show interview. Check out the Space Show's archives after Dec 13 if you can't listen live. Space Stations by Bigelow & Orbital Technologies. Dragon Lab Missions by SpaceX. And more to come. The hardware is being built. Should Bigelow, and SpaceX pay to maintain an internal astronaut corp to operate their hardware or should they outsource their astronauts? Would an internal team of astronauts be a cost center or profit center for these hardware manufacturers. Enter Astronauts4Hire – a commercial astronaut corp. Buy their services "by the drink". I first talked about A4H here. Below is my interview with Astronauts4Hire's President/CEO and co-founder, Brian Shiro. Q: Can you give us a company overview of Astronauts4Hire? The services you intend to offer? The market you are targeting? Brian Shiro: Astronauts4Hire (A4H) targets both inward and outward-facing markets. We can illustrate this by dissecting our name into two parts: “Astronauts” and “for Hire.” “Astronauts” refers to our internally-focused activities related to building the skills of prospective commercial astronauts with the goal of creating a professional commercial astronaut workforce. The “for Hire” refers to our externally-focused activities to match commercial astronaut candidates with specific missions to be carried out on suborbital or orbital flights. Our target markets include prospective astronauts, researchers, and companies. Services we offer internally to members focus on the professional development of members as astronaut candidates. This involves fostering communication among astronaut candidates, negotiating special pricing for training courses, and offering scholarships to flight members on a competitive basis to help pay for their astronaut training. Plus, members can gain entrepreneurial skills by getting involved on the ground floor with building the organization during this early phase of our development. A4H offers a number of services to the external community too. A4H will work with researchers and companies to provide the manpower required to achieve mission objectives on parabolic, suborbital, and orbital flights. Primarily, the services pertain to planning and executing experiments or operating payloads on flights. It could also involve product testing or promotion, particularly for commercial clients, as is the case with the upcoming space beer flight. Q: Describe Astronauts4Hire’s latest contract to test beer in microgravity? Brian Shiro: A new space engineering company, Saber Astronautics Australia, teamed up with the 4-Pines Brewery in a joint venture called Vostok Pty. Ltd. to create beer brewed specifically for consumption in space. This stout-derived beer has low carbonation and high flavor, meeting known challenges the human body faces with taste and carbonation in microgravity. Initial batch recipes were taste-tested by 4-Pines and were proven safe for wholesale consumption through terrestrial sales, which will help fund the microgravity beer testing experiment. Drop tower tests conducted at the Queensland University of Technology characterized the liquid under brief, but high quality, microgravity conditions. After considering many internal and external service providers, the Vostok partners chose Astronauts4Hire (A4H) to carry out the flight experiment. A4H selected its top four members with past microgravity research experience, and Vostok then interviewed them before settling on a primary and backup A4H research participant to carry out the experiment. A4H is contracted to provide general support to the first human research experiment on alcohol absorption in microgravity. A4H’s primary purpose is to provide the human test subject (research participant), who has a myriad of tasks to handle before and during the flight. This includes experiment setup, pre-flight testing, data collection, and serving as a critical liaison with the ZERO G Corporation, the company that will provide the parabolic flight service. In this sense, A4H has been the team “on the ground” in the USA to support the experiment. Vostok and A4H also collaborate on press releases and other publicity matters. We worked together with the ZERO G Corporation to negotiate many logistics details for the research flight. For example, when the original November flight was cancelled by ZERO G, Vostok and A4H worked with ZERO G to establish a new flight date in December. The experiment itself will consist of a baseline sampling of the beer two days prior to the flight in which measurements of body temperature, heart rate, and blood alcohol content will be taken. Qualitative information such as the beer’s taste and overall drinkability will also be recorded. These same parameters will be recorded during the flight sampling. During the ZERO G flight, the A4H flight researcher will consume the beer during alternating 0-g parabolic portions of the flight. Vostok’s ultimate goal is to be the prime supplier of beer to space tourism operators and hopes that the tests carried out by A4H will lead to the establishment of standards for the responsible, casual consumption of alcohol in space. Q: Why did you choose to start Astronauts4Hire as a non-profit? Brian Shiro: We arrived at the decision to become a non-profit through careful consideration of business modality alternatives. Being a non-profit fits best with our near- and intermediate-term goals of establishing A4H as the main aggregator of commercial astronaut sector stakeholders: crews, trainers, vehicles, mission elements, etc. Like a professional organization, A4H aids its members in their professional development as astronauts through structuring of a training program, negotiation of special training prices, and awarding scholarships to members to help pay for their astronaut training. A4H is also helping establish the industry standards by which commercial astronauts will be measured. A4H will fund these activities primarily through a combination of donations, sponsorships, and grants. Another important source of revenue for A4H includes its contracts with researchers to perform experiments on microgravity flights. This is important because it allows A4H to build experience and a customer base without having to wait until suborbital space vehicles are operational. Not only does it help us get our feet wet with providing payload operation services, it also gives our members further experience to make them more competitive astronaut candidates by the time suborbital space vehicles are ready. If A4H were a for-profit venture, possibly having to pay back investors, we would have to charge higher prices for our services. This would not only potentially limit our clientele; it could restrict the growth of the emerging commercial astronaut market. Keeping costs low in the beginning is therefore very important, and that’s why the low overhead of a non-profit is the right track for A4H during this phase of its development. Q: What is your long-term strategy for growing Astronauts4Hire? Brian Shiro: The near-term plan is to finalize our business plan and federal 501(c)(3) status as a non-profit by early 2011. We will more aggressively pursue fundraising at that time and plan to start raising enough money by mid-2011 to allow us to award our initial A4H astronaut training scholarships. 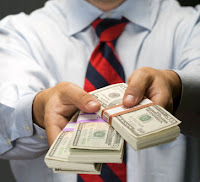 The pattern of raising money primarily by writing grant proposals, soliciting donors, and establishing sponsorships will continue for the next 2-4 years. We have a stepwise strategy to use money raised on a 6-month basis to pay for training activities during each subsequent half year. In the first few years, A4H will mostly contract out its training to third parties, but by 2014 or so (after we have a few spaceflights under our belts), we plan to ramp up our internal capabilities to train ourselves too. What form this will take remains an open question, but it could include establishing a commercial astronaut training center. We plan to fund this in part by collecting registration fees at workshops, clinics, and symposia hosted by A4H on various topics related to commercial human spaceflight and suborbital research. The scope of these workshops will likely range from an introduction to commercial spaceflight for the general public in a Space Camp style to detailed technical forums for researchers to further the field. Beyond five years, when the industry is on its feet, we can forsee possible spin-off ventures focusing on different aspects of the commercial astronaut workforce. What we know as A4H today could become more like an educational foundation, and other related businesses could handle the operational aspects of training and flight services. Our ultimate goal is to be the main organization that provides astronaut skills training and ratings to help individuals find flight opportunities on suborbital and orbital platforms and to serve the crew needs of the commercial human spaceflight industry. Q: What capital requirements does Astronauts4Hire have to execute your growth plan? Brian Shiro: Our biggest assets now are our members’ time and skills, as well as the publicity we are enjoying. Capital investment so far has been light, but we have forecasted our growth requirements for the next five years. For example, we are targeting a total operating budget of approximately $81,000 in 2011 that will grow to $300,000 in 2013. A4H needs about $150,000 in 2011 to meet its training targets, $250,000 in 2012, increasing up to just over $600,000 by 2015. On the cost side, this assumes a growth rate of 10 new flight members per year, which influences the cost of training required. On the revenue side, our forecast assumes we add at least 1-2 new “Martian” and “Lunar” donors at the $10,000 and higher level per year and earn at least one additional grant at the $50,000 level or higher per year. We also assume to add future zero gravity flight contracts like the beer flight at a rate of 3 in 2011, 5 in 2012, and so forth. Q: What are ways the new space industry can take advantage of Astronauts4Hire’s services that they may not be thinking about or be aware of? Brian Shiro: The space community talks a lot about “commercial crews” these days, but when most people say that, they are referring to the vehicles and engineering systems that will get people to space, not the crews themselves. Astronauts4Hire aims to fill that void by providing a professional astronaut crew service with qualified astronauts who can assume a myriad of duties on space missions. Individuals interested in going through a structured astronaut training program can apply with Astronauts4Hire to take advantage of our relationships with training providers and connections to potential employers who may hire them later. In the near term, we can work with researchers or companies who want to fly experiments aboard microgravity parabolic flights. Once suborbital and later orbital space vehicles are flying, we can do the same on those platforms. A4H members can serve a “guinea pigs” for flight hardware and medical testing to help establish the qualification of commercial spacecraft for human flight too. Eventually, A4H could become a prime supplier of crews to operate and maintain commercial space stations in orbit. Q: What recommendations do you have for space entrepreneurs considering starting their own business? Brian Shiro: Just like in real estate, what matters most is “location, location, location.” Try to be in the right place at the right time and foster a network of contacts that can help springboard your venture to success. Never underestimate the amount of time it will take to do something. If you think it’ll take a month, multiply it by 10, and you might be closer to the mark. However, that doesn’t mean the pace of progress is slow, as sometimes it can feel like you’re barely keeping your head above water just to stay afloat. Keep your eyes on the prize to maintain motivation and try to remind those working with you of the broader goals from time to time to keep up group morale. Surround yourself with a mix of “true believers” and skeptics to ensure you get a healthy mix of inspiration and grounding. For virtual organizations with members spread out geographically, as we are in A4H, leveraging modern communications technology is a key advantage, but one must be careful to ensure the tools foster efficiency rather than implementing too formal a process that could burden the pace of growth. Above all else, have fun, work hard, and you are sure to succeed! From a recent post about NanoSat Launch Vehicles, a commenter asked some good questions about NLV pricing. Paraphrasing and summarizing, he asks how a NanoSat Launch Vehicle operator could achieve a low price point ($500-$1M) while still making the price attractive to universities which are often funded from small $10-20K grants. He also asks about how in this same post, I derive a desired NLV price point from between $500K and $1M. My response is below. Frequent, well-published launch opportunities increase demand by giving customers the ability to fly as often as they desire. Variable pricing charges your customers what they are willing/able to pay while still giving you, the launch operator, a business model capable of making money long-term. Without frequent, well-published launch opportunities and variable pricing, your capacity to launch will dwarf the current demand making long-term profitability illusory. Standby Payloads are priced low enough to attract University customers but such "standby" payloads may get bumped from a particular flight if a customer willing to pay “guaranteed” rates is available. University customers on standby will not be choosing the orbit in which their CubeSat is deposited, but since most of these payloads are for education purposes, the loss of orbit selection is more than offset by the combination of frequent launch opportunities and ridiculously low cost. Guaranteed Payloads are priced at a premium attracting customers willing to pay for the frequent on-time flight opportunities. Allow one customer per flight to choose the orbit (altitude/inclination) for a price. I would assume that the first customer reserving Guaranteed Payload Space on a given launch would also secure the orbit that best met the need of their payload. $515K per flight. Depending on the cost structure of the NanoSat Launch provider, they could even launch a single 3u P-Pod for about $550K. Would some customer’s find value at that price if they launched when they wanted, to the orbit they wanted? Under such circumstances, you may consider filling your unused payload space with non-paying education payloads. The US Army is interested in Nano Launch and had put a price point of $1M per launch. My interview with the CEO of CubeSat component manufacturer Clyde Space revealed he thought $250K for a 3u is definitely too much for most customers. My interview with Professor Jordi Puig-Suari from Cal Poly and professors from MIT, and St. Louis University who are currently active in either university satellite development or active in space research of some kind show they are targeting a price point under $50K per CubeSat with $20K being preferred. Relooking at my notes from those interviews, at a $20K price point, these professors thought the US demand for CubeSat launches would grow to 50-100 each year. Interesting they thought the low flight opps of the current “secondary payload” system a bigger problem than the high cost. Prof Michael Swartwout said in my interview with him, he waits 5-7 years to secure a spot on a rocket to launch his CubeSats. This is longer than an undergrads college career – not too inspiring for young engineers! $500K price point would cover launching 20 CubeSats at $25K each (even if you were not swayed by my variable pricing strategy). Is Human Space Flight more like the airline industry or the automobile industry? In a recent post at Space News, guest-blogger Gordon Smith, Ph.D., acknowledges the reality that Human Space Flight has not been truly commercialized while other highly complicated and risky industries have flourished privately. Smith believes those attempting to commercialize human spaceflight utilizing an airline industry business model could be more successful by changing models. “The automotive industry operates similarly to human spaceflight, if one looks at the broad operational behaviors. 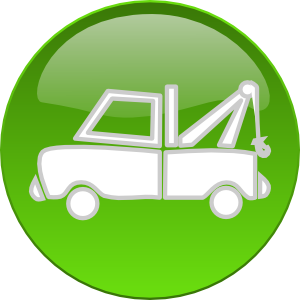 A vehicle departs from a certain location, travels for a period of time that may be limited or indefinite (but the car may pause as needed), and can return to any number of locations. However, the automotive industry prevents DTD and redundancy costs from growing prohibitive using government or private means to render assistance in the form of ambulances and tow trucks. "This emergency response capability, then, should be made a priority in forthcoming policy so that the long promised commercial sector may finally develop."